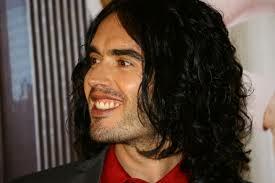 Russell Brand: The PM misquoted and that’s not all he got wrong! When something is attacked it is a sure sign that the attacker is worried, I mean why attack if you’re not bothered? The news that Ed Miliband has been interviewed by Russell Brand for the comedian’s YouTube channel has been met with derision from the Tories and many media commentators. With his sleeves rolled up and tie off (how very Blairite) the PM ridiculed Ed Miliband’s decision to be interviewed by declaring it a ‘joke’ and referencing Brand’s previous stance of non-voting. In fact, the PM was misquoting the title of one of my favourite books by right wing (yes right wing!) US political satirist PJ O’Rourke first published in 2010 called, “Don’t vote: it just encourages the bastards”. They don’t write titles like that anymore. There is a wider point here. Like him or not, Brand is followed, liked and watched by a lot of the young electorate. At the last count there was 10 million Twitter followers and his YouTube interviews or rants, call them what you will, are regularly watched by hundreds of thousands. That is cut-through and engagement well beyond traditional media channels. Much as I enjoyed Andrew Neil de-constructing David Gauke, Financial Secretary to the Treasury on the Daily Politics on Monday about the ‘letter’ from 5000 small businesses backing the Tories (if you haven’t seen it click here, sit back and enjoy) only 4000 people have viewed it so far on YouTube. Whenever this interview between Brand and Miliband surfaces, best guess is sometime in the next 48 hours, the numbers will blow this out of the water – that is a guarantee. The PM’s stance is a mistake. When you ridicule one of the leaders of the YouTube generation you ridicule his fans, followers and even his occasional viewers. What’s more, fair play to Ed Miliband for doing it, presumably without prior sight of the questions. He was willing to go toe to toe with a very bright and witty comedian. It could easily blow up in his face but I suspect it will achieve levels of engagement that dozens of interviews on Andrew Marr’s sofa will never achieve. Milifans – the chasm between mainstream and social media grows ever wider! What is going on? Ed Miliband has a fan club on Twitter. He has teenage girls, only just getting over Zayn Malik leaving One Direction, all flustered. Apparently, ‘Milifans’ as they are now known, have been describing him as ‘cool’ and changing the photos on their Twitter feeds. And it’s not only teenage girls. After Michael Fallon’s intervention ten days ago describing Ed as a backstabber for knifing his brother, closely followed by Daily Mail revelations about his ‘tangled’ love life, their mothers are joining in too. I noticed one of them on Twitter describing him as sounding ‘rather dashing’ like some sort of latter day Mr Darcy. Will the madness never end? I know we all love an underdog, but this is ridiculous! Haven’t these people seen the weird hand movements? There is another point here, namely an ever-widening gap between mainstream and social media that is being magnified by this election. The more the mainstream attacks, the more sceptical the public gets. The old levers no longer work. Ed Miliband is described as a backstabber and bed-hopper and his ratings go up. Nicola Sturgeon is described as “The most dangerous woman in Britain” and her ratings go up. Leanne Wood is described as naïve and ‘leftie’ and her ratings go up. The truth of the matter is that the mainstream media is throwing everything but the kitchen sink at this, but the electorate is not responding – at least not in the way that is wanted. The response the mainstream media is getting is, at best, being ignored or, at worst, treated with contempt and/or ridicule. Has the public cottoned onto media ownership/bias in the UK? Has Leveson had an effect? Or is it just that the attacks are so ridiculous, and there are so many other avenues for collecting and disseminating information, we are freer to make up our own minds? The British electorate is not ‘engaged’! 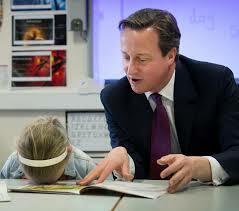 Like the little girl, I suspect most of the electorate are sick of being talked at. You see there is a huge difference between talking at people and talking to them. Since the start of the election campaign the leaders of all parties have talked at people via a series of soundbites or bribes depending on your level of cynicism. The first week of the campaign will be remembered for a soundbite, namely “long term economic plan”. Now, I’m all for applying key messages, but there is a difference between focused messaging and repeating the exact same statement over and over again. One offers definition and clarity, the other is just irritating. This was followed by a series of promises. “Guaranteed one-to-one care from a midwife”; the “Right to buy housing association properties at discounted prices”; “Guaranteed thirty hours of free nursery care for families”. To me these just sounded like bribes flung out to grab a headline, not thought-through policies designed to be questioned or substantiated. And that is what is wrong with this campaign so far, there is no questioning as the electorate is not engaged, because it is being talked at, not encouraged to take part. Which, of course, is the crux of the matter, because despite what The Sun ran on its front page yesterday, I personally don’t believe for a moment that all working families are going to get thirty hours of free childcare. The problem is that this election has become so sanitised that we aren’t able to ask the clarifying questions. Communication is two-way, but our politicians seem to have forgotten this. We spend a lot of time at WPR telling clients not to just issue releases, post Tweets, put content on Facebook or LinkedIn, without trying to engage your audience. Because if you do just chuck out content, there is every chance that nobody will be listening, which is where I suspect most of the British electorate is currently at. Only another three weeks to go though! What this election needs is a good old-fashioned husting! Yesterday, the Prime Minister met a voter, a proper voter not one with a press badge. He went for a walkabout (my god the daring!) in Alnwick. Now, admittedly, it was 3pm on a Monday afternoon in a small Northumbrian market town, hardly Oxford Street on a Saturday morning, but it’s a start. Will it catch on? I doubt it. The biggest problem with what is turning out to be one of the most boring campaigns in modern history is that our politicians and their advisers are so fearful of a Gillian Duffy or Sharon Storer moment that all life has been sucked out of the campaign. Quelle surprise, there is no movement in the polls. But why would there be when everything we see on our TVs is so insipid. However, there is hope. Despairing of any political engagement in my own safe Tory constituency (the election effort so far stands at one small poster on the A38 and a leaflet) I went to the marginal Worcester seat (2010 result: Conservative majority 3,000) for a terrific evening of political debate in the Cap ‘n’ Gown pub. Enterprising landlord Ted has invited all the candidates every Monday of the campaign to a good old-fashioned political husting, each time on a specific subject. Last night was the NHS. Ably moderated by Ted himself (at one point I wanted to vote for Ted so detailed was his grasp of German GDP to health spending ratios) we hit all the big issues, both national and local, from euthanasia through to extortionate PFI contracts, the closure of a local walk-in medical centre and overcrowded A&E departments. 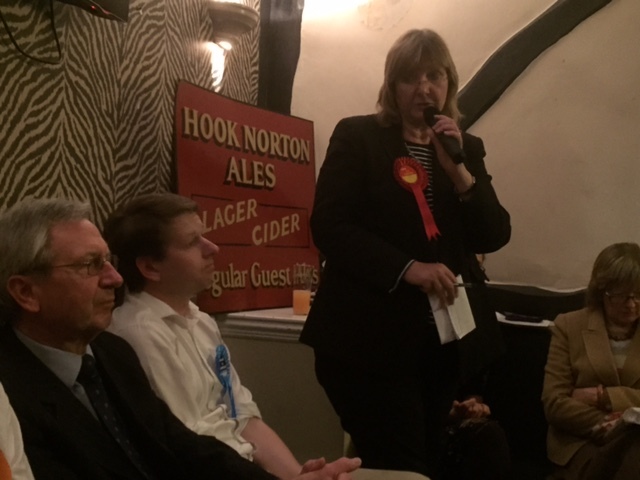 The night had it all, heckling from the public; a flash of anger from a nurse; despair from an overworked young doctor, with the debate ebbing back and forth as the candidates slugged it out and voters helped themselves to the Hook Norton beer. This is politics as it was meant to be, real democracy in action for over two hours and pub was packed! The candidates in particular deserve great respect for taking part, putting themselves out there without the safety net of an invited audience or advance sight of the questions. There is a lesson here. I suspect voters were swayed last night. Minds were changed or made up. It mattered, which is more than another insipid speech to a hand-picked audience will ever do. 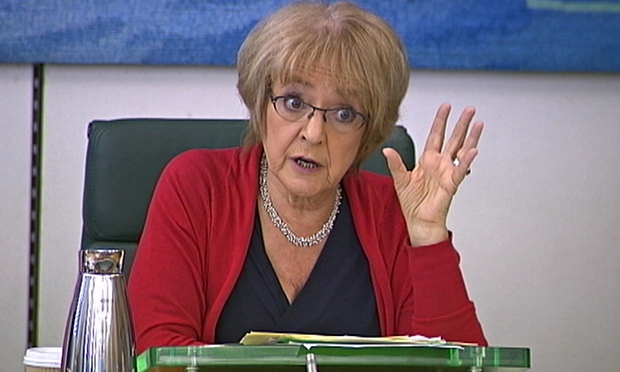 Margaret Hodge has been accused of being rude. She was. Margaret Hodge has been accused of being bullying. Possibly. Margaret Hodge has been accused of losing her rag. 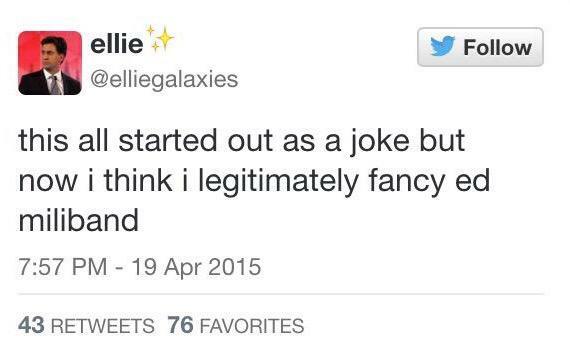 Definitely, and I envy her. In an age of carefully choreographed media appearances, this week’s grilling of HSBC bosses at the Public Accounts Committee translated into a tour-de-force performance by its chair, the Labour MP for Dagenham. If you haven’t seen Rona Fairhead, chair of the audit committee at HSBC, squirm when asked why she hadn’t quite grasped the fact that the bank’s Swiss business might, just might, possibly, potentially, be used for tax evasion, you can watch it here. As Simon Jenkins comments in today’s Guardian, even a child knows that Switzerland is a tax haven. Apparently this little fact had escaped Rona. Why do I envy Margaret Hodge? Because I recently closed down two HSBC accounts. I’d had enough of the money laundering, manipulation of LIBOR, playing around in the North American Mezzanine Credit Default Swap market, bonuses – I could go on but you get the point. I marched into my local branch in Bromsgrove intent on giving the stuffed shirt who runs the place a piece of my mind when he, surely, would ask me why I was deserting the sinking ship? Only he didn’t ask. He directed me to a chair and then went off to check whether I had any money in either of the accounts or whether my salary was paid into them. I know this because I got out of my chair and looked over his shoulder. When he found out that my salary was paid into another bank, he didn’t bother asking. He just turned on his heels leaving me with a colleague to cut up my cards. So, I never got my Margaret Hodge moment and to add insult to injury a week later I got an automatically generated postcard from Head Office which said “It’s sad to say goodbye”. No it wasn’t and well done Margaret. What do you do if you are a journalist and your editor refuses to cover a story because it has commercial implications for the paper? In Peter Oborne’s case you resign and you have to applaud him for it. 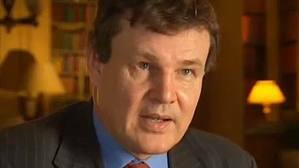 If you’ve missed it, Oborne, Chief Political Commentator for the Daily Telegraph, resigned yesterday because of his paper’s lamentable coverage of the HSBC tax evasion story. Launching a broadside against the editors of the Telegraph, Oborne claims that the Telegraph’s pitiful coverage, which amounted to a small column at the bottom of page 2, was due to the fact that HSBC is a major advertiser. It’s difficult not to agree with him. I noticed last week that the Telegraph had hardly touched the story despite it being front page news for the Guardian, which broke the story, and blanket coverage across the BBC, Channel 4 News and Sky. Even The Times picked it up! I originally thought that this was political partisanship, the Telegraph being right-leaning and the story being an embarrassment to David Cameron who appointed Stephen Green, former CEO of HSBC and an ordained minister with the Church of England, who once wrote a book about ethical banking (you can’t write comedy like this), as a Trade Minister in his government. I was wrong. According to Oborne, advertising revenue was behind the decision and on Channel 4 News last night hinted that other stories involving HSBC, presumably the laundering of drug money, a story which broke in 2012 and the bank’s involvement in the manipulation of the London Interbank Borrowed Rate, or LIBOR, the benchmark global interest rate. These are serious allegations for the Telegraph and the paper has hit back hard calling Oborne’s accusations “astonishing” and “sinister”. But there are two wider issues here. Firstly, in an age of plummeting circulation rates, newspapers are increasing reliant on corporate advertising spend to keep going. Inevitably that leads to compromises and it takes a strong editor to stand up to newspaper owners when it comes to money. Which brings me to the Barclay Brothers, owners of the Telegraph. One can’t help but wonder whether the fact that the brothers are wealthy tax exiles in the offshore tax haven of Guernsey played a role in this story effectively being spiked. Certainly it would be in their interest to sweep this little issue under the carpet as quickly as possible, both from a personal and professional point of view. What was it that Leona Hemsley, one of the world’s great tax avoiders said, “Only the little people pay taxes”? It’s time to reveal my high achievers of the year, those individuals that have made a real contribution or, frankly, just made me laugh. As usual, and I make no excuse for this, politicians dominate proceedings, but don’t let that stop you reading on. Whether you agree with Nigel Farage or not, you have to admit that there is no other politician in the British Isles who could have pulled off his Ryder Cup advert for Paddy Power. He then followed it up with an appearance on Dom & Stef meet Nigel Farage in which the booze guzzlers from Gogglebox asked him all the questions the man in the street would like to ask him and then (unintentionally) poured wine all over his trousers. All of this while inflicting two bloody noses to the Conservatives in successive by-elections. There is a serious point here though – both TV appearances will have reached sections of the electorate that have tuned out conventional politicians who still rely on the Sunday Politics and Andrew Marr to get their messages over. For this reason, if no other, Nigel is my Communicator of the Year. Barnstorming Speech of the Year was delivered by Gordon Brown in the Scottish Referendum campaign. He may not go down well in West Sussex but he remains highly respected North of the Border and can justifiably claim to have made a significant contribution to saving the Union – which is more than Cameron, Miliband and Clegg did. One suspects he has one more ‘big job’ in him, perhaps at the IMF or World Bank. My Journalist of the Year was a close fought race. Dan Hodges in the Telegraph deserves praise for forecasting eighteen months ago that Miliband was on dodgy ground. But the accolade must go to John Harris of the Guardian whose video tour of the country, both North and South of the Border during the autumn by-elections, graphically illustrated the alienation that many feel from Westminster politics. My Legal Eagle of the Year is Michael Garcia who, in his own understated way, speared Sepp Blatter and FIFA by disowning his own (abridged) report into the 2018 and 2022 World Cup bidding process. My Photo of the Year is the kid who got bored with the idea of meeting the President of the United States in the Oval Office and instead decided to dive headfirst onto the sofas. You just know his mortified parents, moments after this shot was taken, screamed at him, “Will you stop it!” That boy will go far. However there is one outstanding candidate for Man of the Year. In 2014 he lost a Referendum campaign and resigned his party’s leadership. But it was also the year in which he gave a bloody nose to the Establishment, saw a massive surge in membership for his party and has put devolution and the British Constitution front and centre in the forthcoming election. The ‘Westminster Parties’, as he likes to call them, barely had time to give thanks for his resignation before he declared that he was going to stand as an MP in May, presumably because he knows that his party could hold all the cards in the coalition negotiations that will start on May 8th. 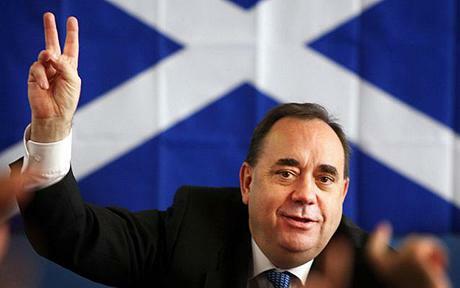 My Man of the Year is Alex Salmond.